This month was a club meeting and started with some notices about events. We welcomed a visitor – Emy. 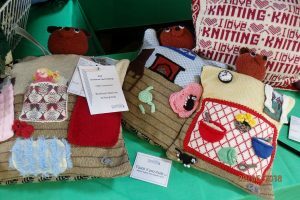 This was a regular club night with members bringing along ideas, patterns and items made for Christmas.